Liv Fun movie reviewer Robert Horton has been elected to the prestigious National Society of Film Critics in 2018. Robert reviews films for the Seattle Weekly and Everett Herald, is a guest speaker for Smithsonian Journeys and Humanities Washington, and is a Fullbright Specialist. He has taught film and curated a film program at the Frye Art Museum in Seattle for 10 years. Founded in 1966, the National Society of Film Critics’ mission is to promote the mutual interests of film criticism and filmmaking. Its members include critics from major papers in Los Angeles, Boston, New York, Philadelphia and Denver, including The Wall Street Journal, The Nation, The New Yorker, The Village Voice, and The Boston Herald, as well as prominent online sites. Membership into the Society is by election, and nominees were evaluated on submitted reviews from 2017. Robert was voted into the society this year along with Rolling Stone magazine’s David Fear. Wise Publishing Group believes that the second half of life is full of richness, unexpected choices, and tremendous opportunities for fulfillment and growth. We support that growth with content from experienced writers and sages and those who have embraced the journey. Pam Mandel is a freelance travel writer and photographer. When she’s not traveling, she calls Seattle, Washington, her home. A woman of many talents and interests, she also plays ukulele, writes a blog, and raises funds for Passports with Purpose. 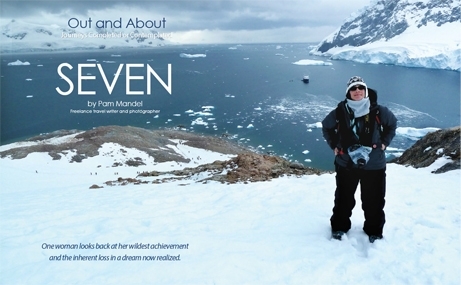 Pam’s winning article, “Seven,” published in LIV FUN 1.2, is a poignant account of her experience visiting her seventh continent, Antarctica. It’s a beautifully written and illustrated piece that expresses the rewards and frustrations of modern travel. She won the Cruise Story Category Award (Silver), which was richly deserved. The Solas Best Travel Writing Award is bestowed by the editors of Travelers Tales, a company that got its start in 1993 when travel writers James O’Reilly and Larry Habegger teamed up with writer and publisher (and James’s brother) Tim O’Reilly to produce a new kind of travel book, one that would paint a portrait of a country through the experiences of many travelers. Headquartered in Palo Alto, California, Travelers’ Tales currently has more than 100 titles in print and publishes approximately six to eight titles per year. 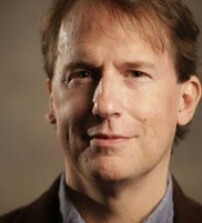 Liv Fun’s very own film critic Robert Horton has been elected to the National Society of Film Critics! One woman looks back at her wildest achievement and the inherent loss in a dream now realized.